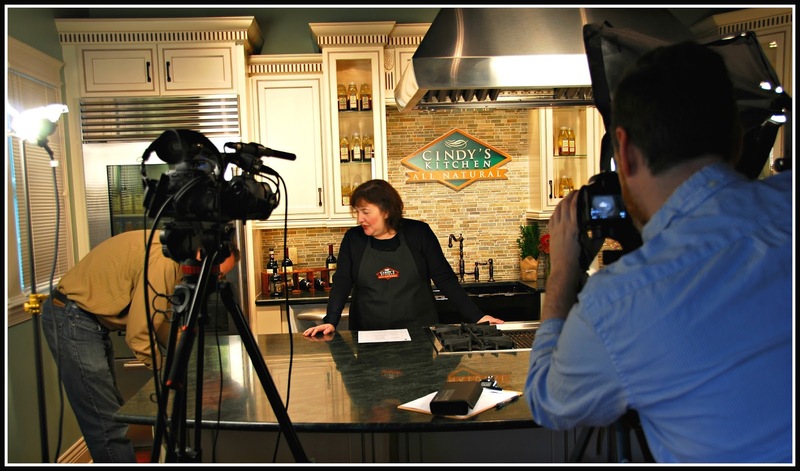 The Weekend Gourmet: Behind-the-Scenes: My Recipe Video Shoot at Cindy's Kitchen Headquarters! Behind-the-Scenes: My Recipe Video Shoot at Cindy's Kitchen Headquarters! This Fall, I had the opportunity to create a trio of original recipes for Cindy's Kitchen. Located in Brockton, Massachusetts, Cindy's Kitchen offers a line of creatively flavored refrigerated salad dressings, dips, and cooking sauces. After one taste, I was hooked! Now, they're the only salad dressings that I use in my recipes. Cindy's Kitchen has a gorgeous state-of-the-art kitchen studio inside their Brockton headquarters, and they invited Michael and I to come up in November to shoot a trio of videos to accompany my recipes. 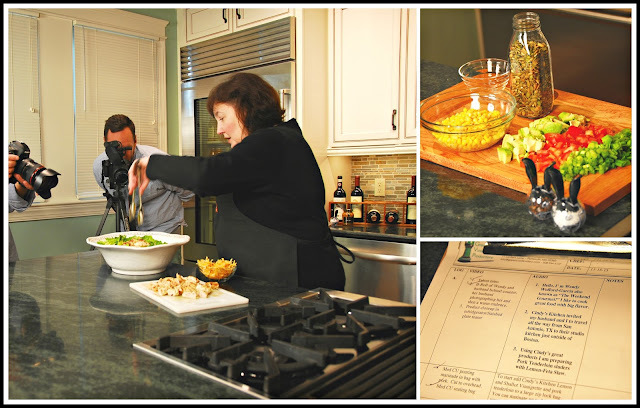 It was a busy day of prepping, cooking, and shooting my recipes with a group of talented multimedia professionals. Today, I want to share some behind-the-scenes photographs of this video shoot. As you can see, there were a lot of lights and multiple cameras to capture every recipe step from a variety of angles. My first video just went live on the Cindy's Kitchen website, so I wanted to share it with you here today! My Acapulco Chicken Cobb Salad features their unique and flavorful Mexican "Pepita" Caesar Dressing -- both as a chicken marinade and to flavor the romaine lettuce in the salad. Here's some scenes from the video shoot for this delicious, healthy 30-minute dinner. This hearty salad is a filling meal that's perfect for keeping those healthy-eating resolutions in the new year. Now, I hope you'll take a minute to watch the creative video the Cindy's Kitchen media team has created of me preparing my Acapulco Chicken Cobb Salad. 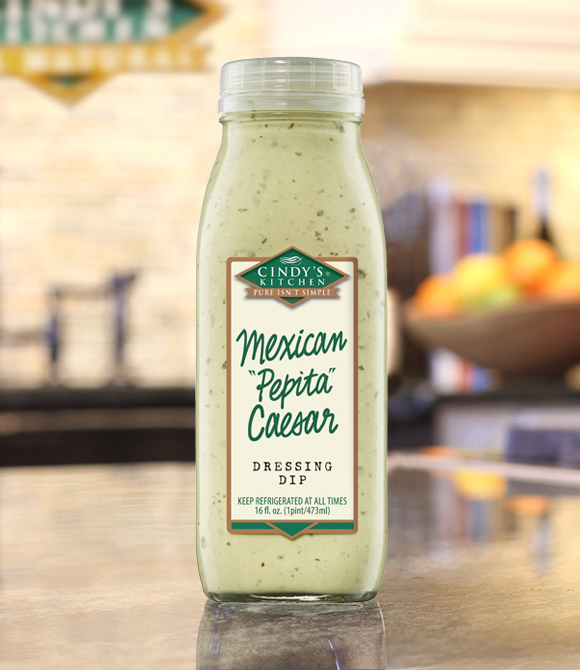 You can find Cindy's Kitchen products at grocery stores nationwide, including Whole Foods. Check out their handy Store Locator to find their dressings, dips, and cooking sauces near you. Disclosure: Cindy's Kitchen flew Michael and I to their Massachusetts headquarters and provided overnight hotel accommodations to facilitate this video shoot. All opinions expressed are solely mine. The video shared is copyrighted by Cindy's Kitchen.